I recently received an email from a person inquiring about whether Peering Through the Veil addresses how to make the results they have felt with meditation - such as love, joy, and peace - last for longer than just the meditation itself. "Meditation requires prolonged practice - meaning daily. The book discusses many forms of meditation and ways to do each one. I've read that after meditating daily for only a few weeks, research has shown that the brain has changed in measurable ways. Perhaps you aren't going deeply enough into the meditation. I talk about various audio programs in the book that might help you with that." I invite readers to comment below with further questions about meditation. 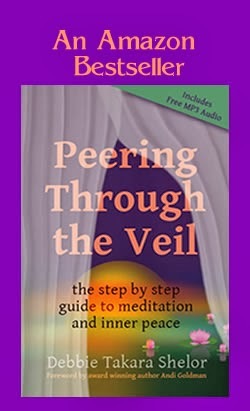 Return to the Peering Through the Veil meditation book home page.